*Strasbourg/+RPUniversity/Angelo Marcopolo/- While Ideological and Political Movements preparing the Crucial EU Elections of May 2019 are currently Starting throughout Europe, the Leader of France's mainstream Center-Right Opposition, Laurent Wauquiez, New President of the "Republicans"' Party, (Founded by Sarkozy, as successor of Chirac's "UMP/RPR", etc), pleaded for a Wide Political Area between so-called "Populist" Rightists/EuroSceptics and an Establishment's Center-Left. He Topically evoked that on the occasion of a TV Debate with the Prime Minister of France, Edouard Philppe (Centrist), earlier this week, on the recent Mass Migration Issue, as well as Europe's current situation. 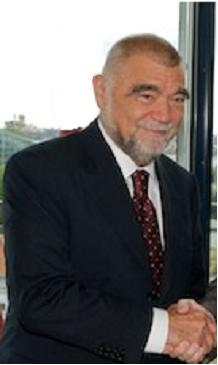 + Shortly Afterwards, a similar Position was also Expressed, in even more Concrerte Terms, by the President of the "Republican" Party in Strasbourg's Department, Laurent Furst, mainly in Reply to a relevant "Eurofora"s Question, (See Infra), during "RP"'s Annual "Summer University" 2018 for Strasbourg's Region, at a Collective Meeting Yesterday Evening, (where "Eurofora" had been Invited for Press coverage, by the main Organiser, vice-President of Lower-Rhine's Department, in charge of Strasbourg, and former MP, Jean-Philippe Maurer, as well as the "Republicans"' regional Secretary General, Mayor Georges Schuler). - In Fact, "among those who Ask for Monitoring EU's External Borders are also many Convinced pro-Europeans", the President of France's Mainstream Center-Right Opposition Party stressed from the outset. - In this regard, he Criticized f.ex. the attribution of about 250.000 various New Authorisations of Foreigners to Enter and Stay in France on 2018, to which should be Added also around +300.000 more Irregular Immigrants : Do we really have enough Means to Integrate them ?, he Wondered. + In Parallel, Europe is Threatened by some Break-Down/Disintegration Tensions and Divisions, (around BREXIT, VISEGRAD Countries, etc+), while, at the Same Time, there are also Risks of Growing Distance vis a vis its Citizens, Warned the French Top Politician, (who has also served as former Minister for EU Affairs). - Prime Minister Philippe mainly reacted by pointing out that, among the above-mentioned Entry/Stay Authorisations this Year, were also about 80.000 Foreign Students, etc., while Aknowledging the existence of more than 100.000 new Mass "Asylum Seekers" who arrived on 2018. 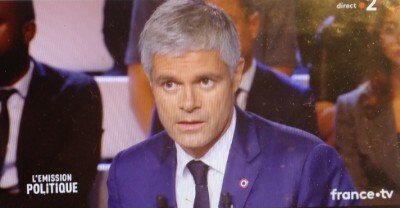 The Government has recently adopted a Law to Accelerate the Investigation of such Mass Asylum Demands and eventual Expulsions of rejected irregulars, he added, while also Accusing Wauquiez for having Chosen the Issue of Mass Migration in order to Criticize his policies, as did also the Rightists, he pointed out. 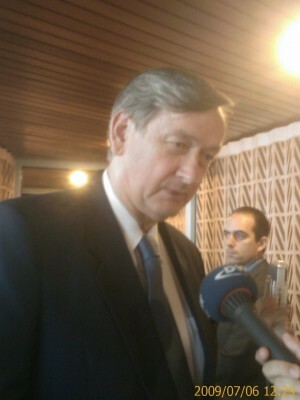 + In Addition, Replying to a relevant "Eurofora"s Question, the experienced President of the "Republican" Party in Strasbourg's Department, MP Laurent Furst, observed from the outset that it's mainly the Historic Founders of his Center-Right, ChristianDemocrat/EPP Political Movement who were among the most Important Actors who have Build Europe. - So, it has Nothing to do with any eventual Far-Right Euro-Scepticism if we find, Despite the Humanism with which have to be treated Real Refugees, that, Recently, some Changes are needed, and some "Technocrats" should be Criticized, when a Great Number among some 250.000 Authorisations to Enter/Stay in France on 2018, added to about 300.000 more Irregular Migrants this Same Year, may present a Real Problem, which has to be Tackled, (particularly in the Transit and/or Origin Countries), in order to Protect also the European Society and even the Safety of EU Citizens, he Concluded in substance. => Furst was lively Applauded by the People, when he made that Point on such a Topical Issue, given also a New Trend of Deadly Knife or Car Attacks by Islamist irregular Migrants (most of whom Arrived through Turkey since 2015-2016), cowardly Targetting innocent Civilian People in Europe, (in France, the Netherlands, UK, and particularly Germany, etc), anew Recently. In other words, both Wauquiez and Furst pleaded for a French Right which wants to be Both Critical and European.